On January 14 at approximately 12:20 a.m. the Calcasieu Parish Sheriff’s Office responded to a call in reference to a shooting at a residence on Myles Lane in Carlyss. 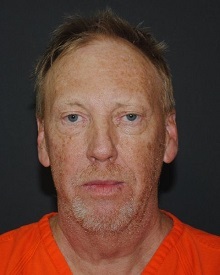 Further investigation revealed Randall C. Reeves, 60, WI, along with the victim were involved in a verbal altercation. After exchanging words both Reeves and the victim retrieved firearms and exchanged gunfire outside the home. Reeves shot the victim in the back during the incident. The victim was transported to a local hospital and sustained non-life threatening injuries. Reeves was arrested and booked into the Calcasieu Correctional Center and charged with attempted second degree murder. Judge Michael Canaday set his bond at $200,000. The shooting is still under investigation and more arrests are possible. CPSO Detective Cody Fontenot is the lead investigator on this case.